I smoke the hive and lift off the outer cover and then the inner cover. I always get a rush of adrenaline when I do this. 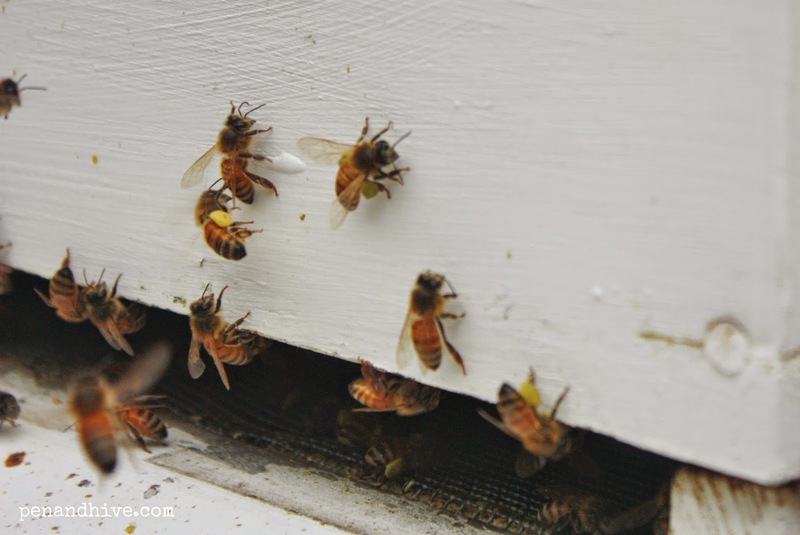 The bees are noisy and the humming can be unnerving at first. You'll get use to that. Once inside the hive I want to look for 3 good signs on the frames. 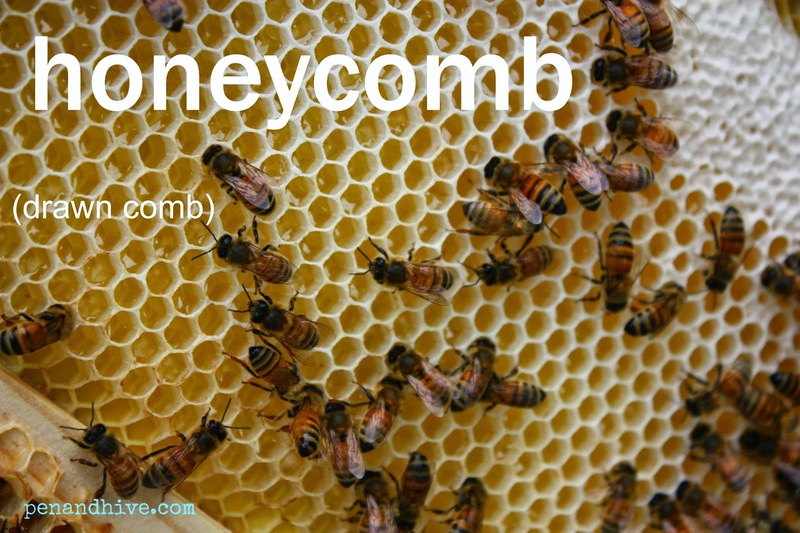 Notice that the bees are building out comb. 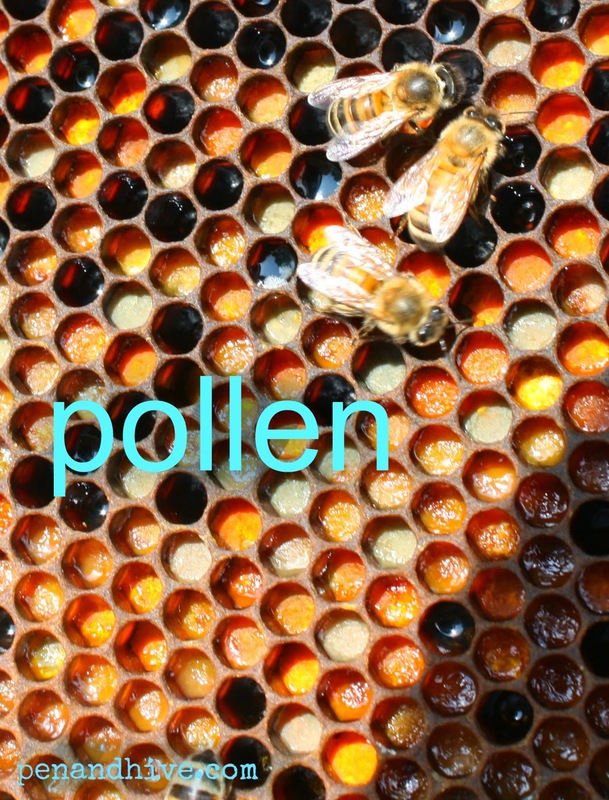 Those little six sided cells are where they'll store honey, pollen, and brood. 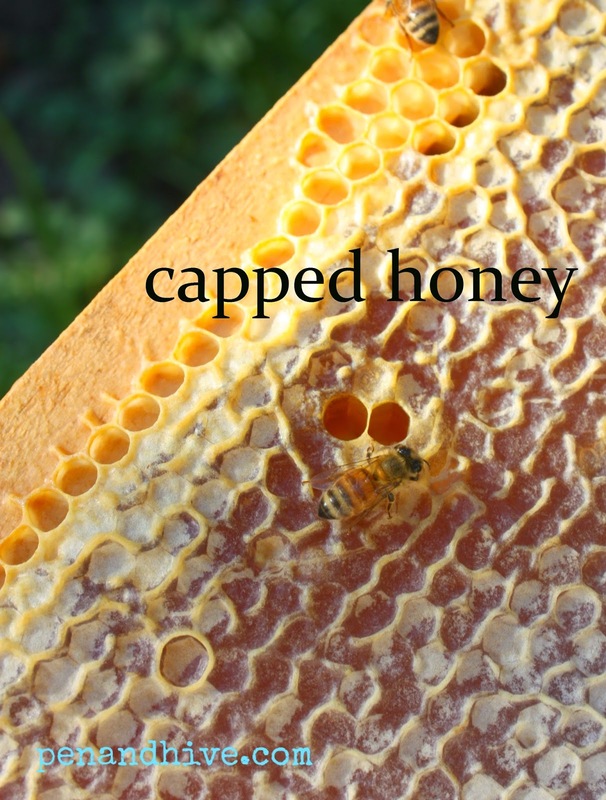 When the honey is ready they cap it off. 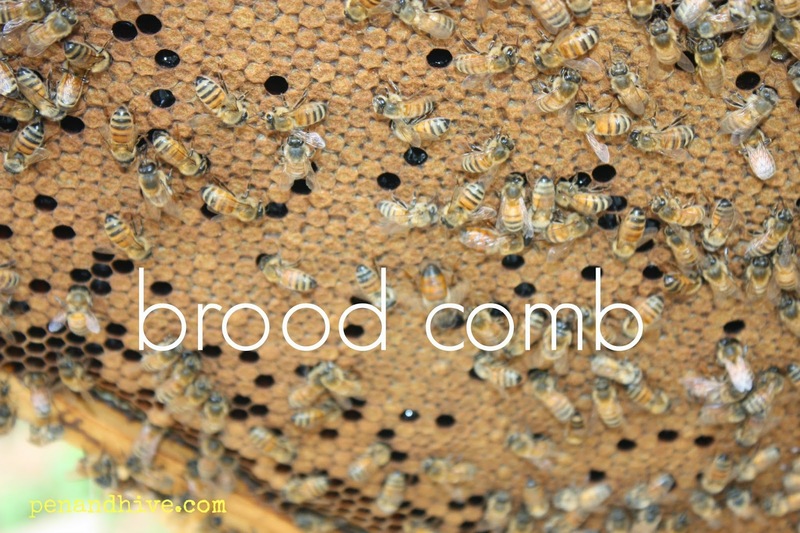 We especially want to see brood comb. Those are your baby bees. It is really a great hobby! They are endlessly fascinating to me and I love having them in my backyard where I can watch them every day. You'll love having them! What a fun thing for you to share with your dad!